This package is perfect for the couple who needs complete oversight over their wedding planning and design. This package includes up to one year of full wedding planning services including but not limited to: vendor identification, contract negotiation, and budget management as well as full day-of wedding coverage. This package is perfect for the couple who has everything covered before and after the wedding but needs help tying everything together. This couple wants someone to take care of business during the wedding day and needs some help managing and collaborating with vendors. This package includes up to 4 months of wedding planning services as well as full day-of wedding coverage. Almost everyone has an idea of how they would like their wedding day to look but not everyone knows how to execute that vision! Share that vision with me and I’ll do all of the hard work! 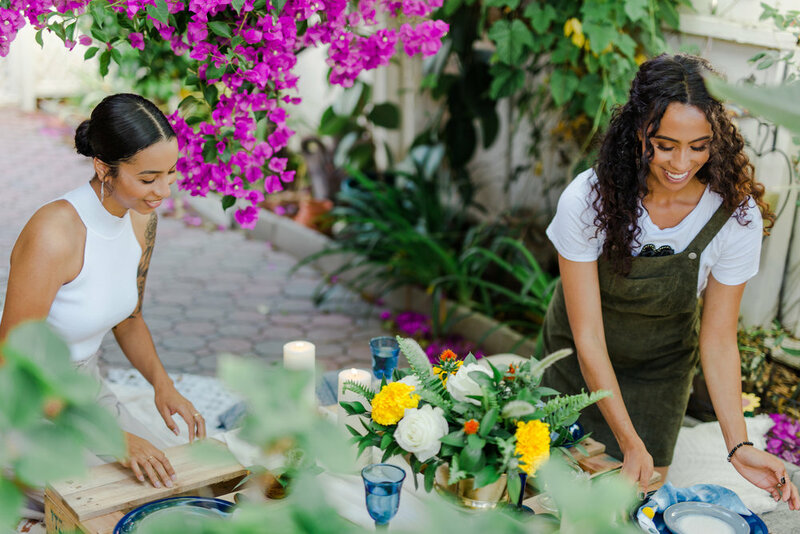 I’ll organize your thoughts in a simple to view vision board, ensuring that your wedding day decor and arrangements are precise and undersaturated, and I’ll even help identify vendors who can help meet your design goals and needs! As a floral enthusiast, I am excited to work with you to design and create floral arrangements that tie your wedding design vision together. This package is available for intimate weddings of 50 guests or less.